Sri Lanka's legendary pacer, Lasith Malinga has made it official that he will call it a day on his International career after the 2020 ICC T20 World Cup. Malinga recently was injured while playing for Sri Lanka and this injury has ruled him out of the first 6 matches of the 2019 season of the Indian Premier League. Separamadu Lasith Malinga, a right-handed pacer with a unique slinging bowling action, made his International debut for Sri Lanka in 2004. Though he could not make a name for himself in the initial stages of his career, in 2006-07 he helped Sri Lanka level a Test series against New Zealand by taking 9 wickets in the Napier Test match. In the 2007 ICC World Cup, he became the first ever bowler to take 4 wickets in 4 consecutive balls in a match against South Africa. His injuries have been his only weakness as Malinga had to miss multiple important fixtures to cure his injury. 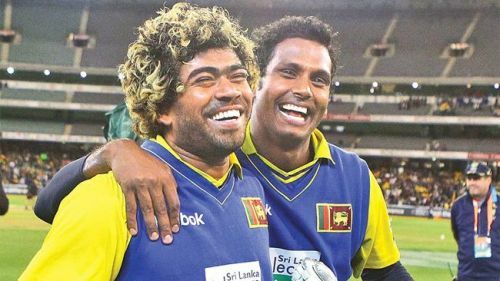 Nicknamed Slinga Malinga, the curly-haired fast bowler led his team to their first ever WT20 glory in 2014 and 6 years later, he will end his International career at the very same event. Having said that, Lasith Malinga has informed that he will continue representing Sri Lanka in the T20I format. He also went on to add that he will bid farewell to International cricket at the forthcoming T20 World Cup which will be hosted by Australia in October-November 2020. "After the World Cup, my cricketing career is ending. I want to play in the T20 World Cup and then end my career,” he was quoted as saying by India TV. Malinga will start his preparations for the 2019 ICC World Cup once he recovers and we wish him all the best for his future.